The security of buildings has never been as vital as it is today. 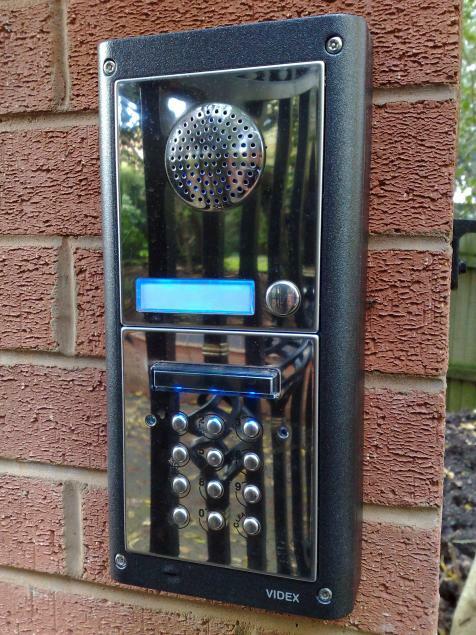 The right door entry system installation can provide you with a high level of security, by allowing you to identify visitors through speaking to them or seeing them through a screen before allowing access. We are a team of professional door entry system installers who offer a wide range of bespoke door entry designs in London and Essex. Circumstances for door entry systems range from, but not limited to; residential buildings, offices, domestic properties and school applications. Using the latest technology, we ensure we offer the complete safety and security solution that meets your requirements. Door entry systems are a popular addition to homes and businesses to provide safe and secure access – replacing the traditional key access. Our door entry systems London removes the requirement to change the locks or re-issue keys in the event that they are stolen or lost. With an electric access system, users will be issued with cards, fobs or a code to allow access through controlled areas. Not only does it boost the level of security, but an entryphone installation London also increases the lock control so doors can be properly locked once they are closed. Access can be customised to ensure users gain access through the main entrance, but that internal doors only allow access to those who need to be in that area. A door entry system gives you the ability to manage who enters your building and what their level of access can be to certain areas. Access control for Essex businesses and homeowners can be as important in preventing crime as alarms and monitoring systems can be for detecting it. There are a variety of door entry systems Essex available, and the type that will best suit you will depend on your needs and preferences. We offer the very latest door entry systems, and we can design, supply and install the ideal entry system to keep your premises safe, secure and manageable. There are several different options for controlling entry into a building or office, including intercom, entry phone and keypads. Clients who choose an intercom system for access control to a building can choose whether to have audio and/or video communications installed, and can decide between a system that focuses solely on a dedicated phone number or to several different handsets. 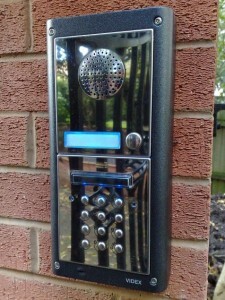 A single channel audio door phone and intercom system is a modern and stylish door entry system to install, with incorporated high clarity microphones and speakers for clear communication. Audio door entry systems are ideal for single point access to a home or business area, and for restricted areas that require security clearance. Keypad door entry systems can be combined keypad / proximity tag access controllers, with modern aesthetics and a robust structure which makes these units ideal for any access control system. To use a keypad door entry system, the user must approach the keypad and enter a four digit code, or hold a personal proximity tag within a few inches to activate the door to open. Video door entry systems enable you to see and talk to whoever is at the door before you open it. The video system comes with a door release mechanism, which grants access once the visitor has been identified. Our industry experience spans over 30 years, working with domestic and commercial clients. Our dedication to the industry shows our incredible knowledge about the best door entry systems to use in Essex and London. Comprehensive range of door entry services that we design and install. In-house engineers to install and maintain the door entry services. Support and maintenance – we’re here when you need us. Full support management and customer service included. All Security Solutions are fully-qualified to the latest industry standards to supply, install and maintain door entry systems in Essex and London. All of our works are guaranteed and insured for complete peace of mind. We offer a free and no-obligation estimating service, so please contact us today to discuss the access control requirements for your premises. Please visit our special offers page for more details. 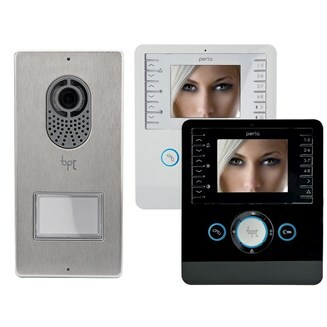 Bpt Security Systems (UK) Ltd provide high quality video and audio door entry systems. Ranging from off the shelf boxed kits, to bespoke designed systems for multiple blocks incorporating hundreds of apartments. 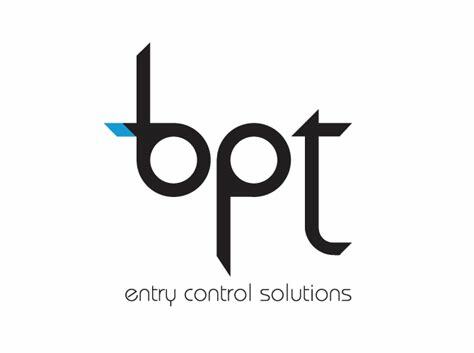 Widely recognised as a market leader in the UK for over 30 years, the large range of award winning products and exceptional support services have seen bpt door entry systems specified more than any other. Bpt can be used perfectly in any situation or size of job. We choose to install BPT as the reliability, quality and performance never fails to disappoint. Comelit offer a variation of simple to complex systems, some of which can be used even with existing cabling. The range of style with Comelit is second to none. Comelit offer vandal resistant, brushed effect, chrome effect and even a traditional style outside call station and handset options. The variety with Comelit is brilliant and can suit almost any situation or style. The external call stations and handsets also come in a range of sizes, colours and even with touch screen options. They offer simple audio options, black and white or full colour video systems. Videx is one of the leading suppliers and manufacturers of door entry and access control products in the UK. Since its incorporation in 1985 Videx has rapidly expanded with products for both the private and public sectors. Videx has a continued research and development program and prides itself on after sales service and technical support. 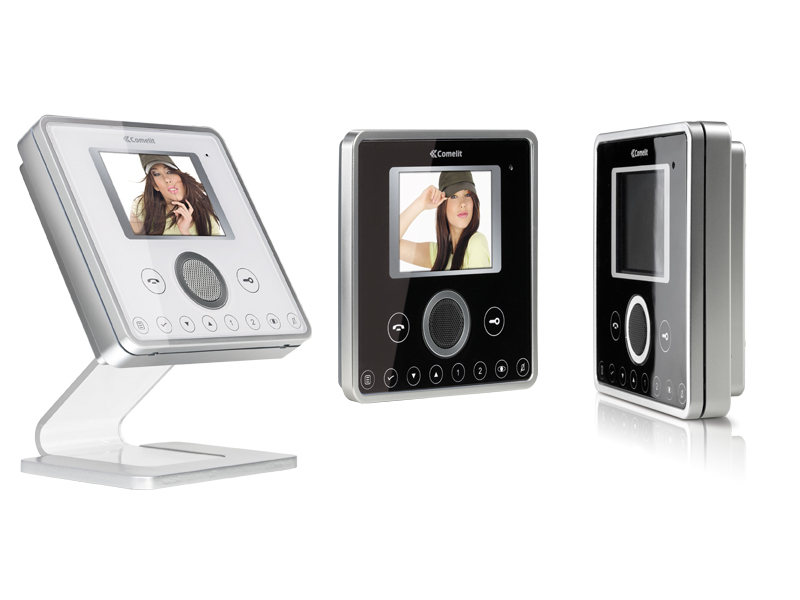 Videx offer a comprehensive range of audio and video entry intercom solutions. This broad range makes any size of preject perfect for a Videx installation. Videx intercoms vary from single button systems to digital multiple occupant systems. They offer vast variations and additional features such as video, coded access, proximity access and many other bespoke options. All of the above supplied from All Security Solutions as a complete package which offers a one stop shop for your door entry needs. 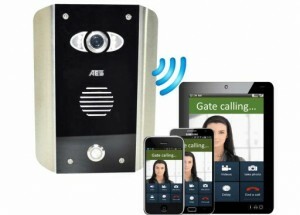 AES door entry systems offer the complete wireless range of door entry systems. These range from the basic single station, to residential kits and even the sophisticated video door entry systems. With this in mind almost any access control applications are catered for. AES have an impressive range of audio and video door entry systems fully compatible with your smart phone device. This gives you the flexibility to be in control no matter where you may be, away from your desk, home or even travelling abroad have that flexibility to be in total control.